The Pega 7 Platform features maintenance improvements to the Hadoop host configuration, HBase data set, and HDFS data set. System architects can more easily make the Apache Hadoop File System (HDFS) and HBase storages available to business scientists for exploratory analysis and predictive model building. 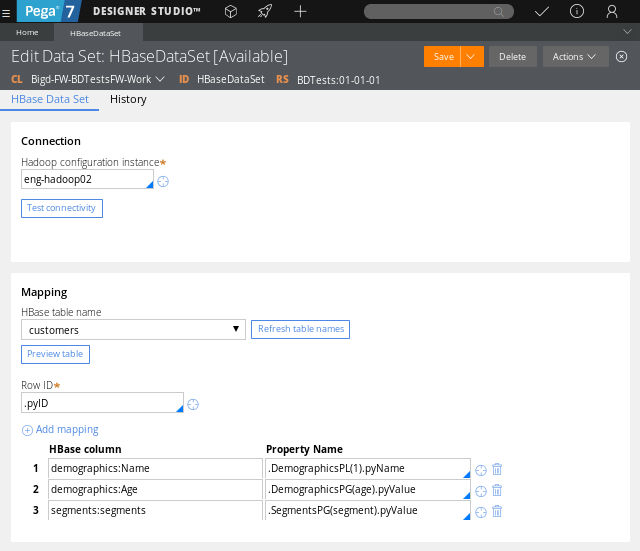 Do the mapping bewteen the HBase storge and the HBase data set without any connector reference. Map a column family to a Page Group or a Page List. Use a validation mechanism for the mapped property and the column family. Use more complex property types in the HBase data set to support flexible data structure of the Apache HBase storage. 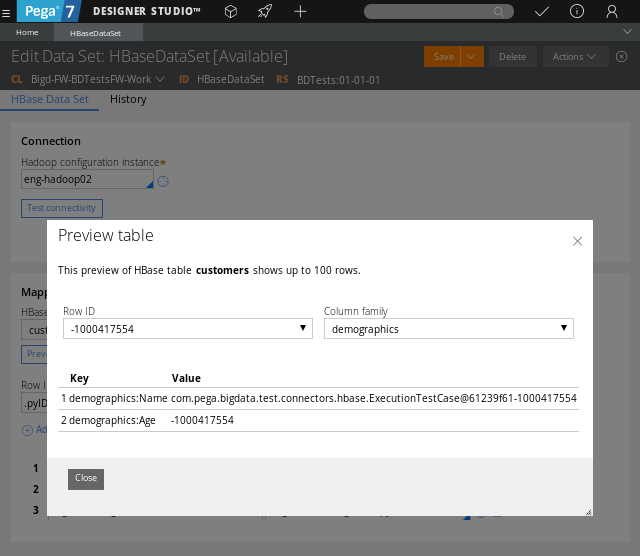 Use the Data Preview option to see data inside the Apache HBase storage. Use the HDFS data set to consume outputs of the Map-Reduce job. Use the File system configuration option to look for files with a given pattern. 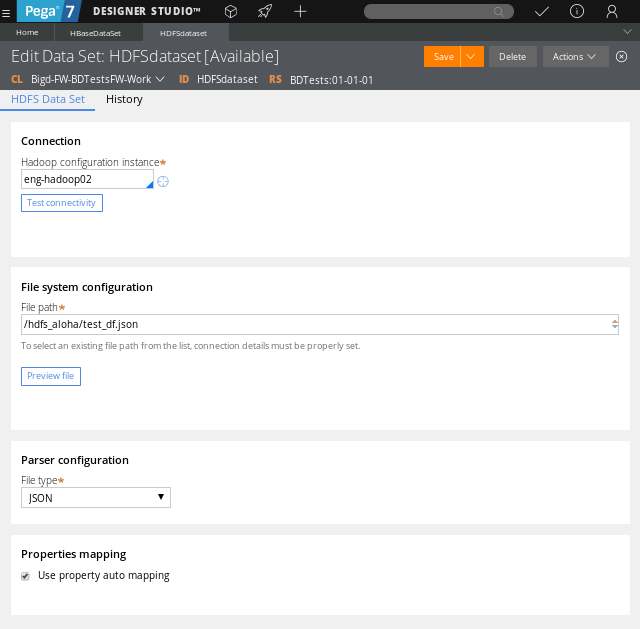 Do an optional NameNode host configuration for the HDFS connection on the Hadoop host configuration. 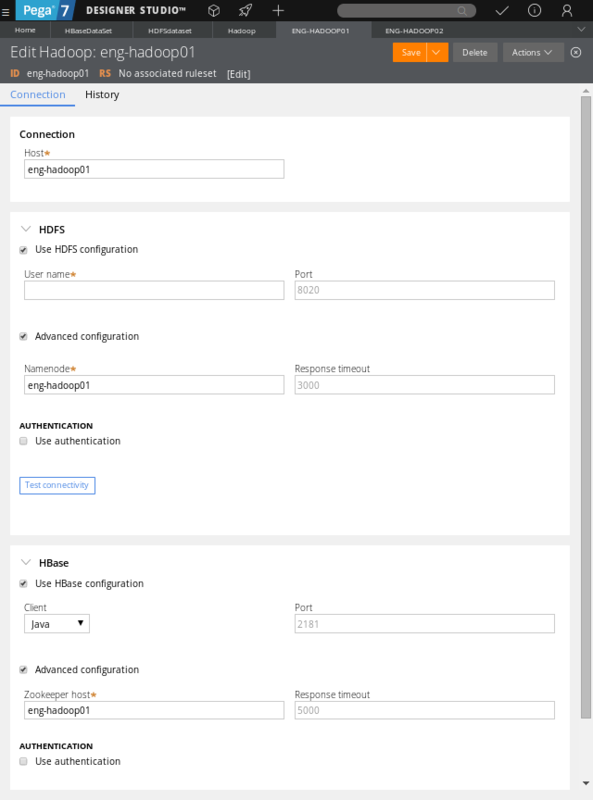 Do an optional Zookeeper host configuration for the HBase connection on the Hadoop host configuration.